In this blog, we will be profiling our very popular and very effective ice removal and ice melting product, Ice Break. ‘Now is the winter of our discontent’. That’s how some of you might be feeling when the ice and snow hits again this winter. 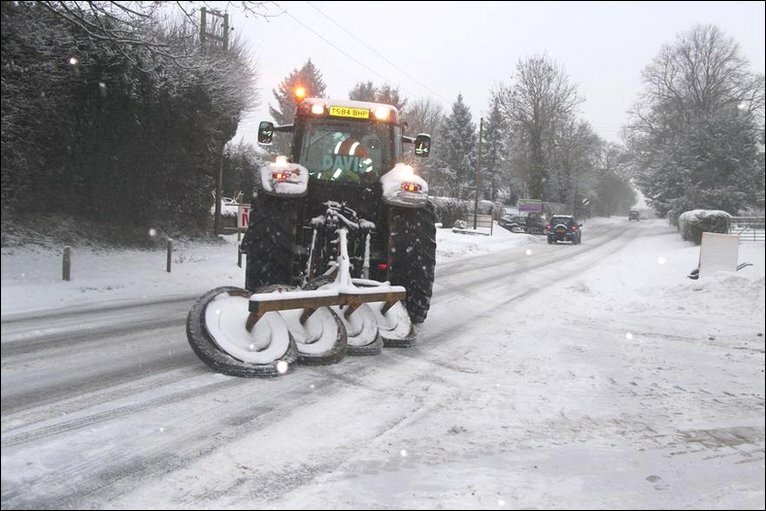 The country has been getting better in preparing for the weather we now seem to get regularly, with increased gritting and early warnings, but there’s only so much local councils can do to make sure you can get around easily and safely. If you live in an isolated area, away from the main roads, you’re usually just left to fend for yourself. And if you own a business that is located on an industrial estate or business park it ends up being your responsibility to clear the way for your workers to get in. Imagine having the clear this yourself with rock salt? So how do you do this? You could get in early and break out the shovel to dig the snow out yourself, but try using that to chisel away at the compacted ice that will no doubt be underneath all that snow. You could use rock salt, a popular product for ice clearing, but this isn’t always that effective, and you’re still left with the remains of the ice/slush that have to be cleared. So what other option is there? Well, there’s Ice Break. Ice Break is without a doubt the most effective way to remove hardened and thick ice. It works eight times faster than rock salt and covers twelve times the area. Rock salt lasts around four to five hours, whereas Ice Break lasts an incredible 48 hours, which also prevents the formation of new layers of ice. The 100% pure graded granulated pellets (Ice Break contains no fillers whatsoever) begin reacting and melting the ice upon contact and dissolve completely, meaning there is nothing to clean up afterwards, unlike other ice melting products. Ice Break can be used wherever it is needed, including stairwells, ramps, pavements, loading bays and cold storage areas. It has been used and trusted for many years by organizations included the MOD, the NHS and the Royal Mint, as well as numerous local council organizations. Ice Break comes in various sizes - 8kg, 15kg and 24kg. If you need more proof that Ice Break really works, click here to see a video of it going up against grit to see which is the best ice melting product (spoiler – it’s Ice Break). If you are interested in our other winter products, please visit our website at www.aptcleaningsupplies.co.uk.